Please enter TOP TEXT and BOTTOM TEXT for each ornament. Please be sure to check spelling. 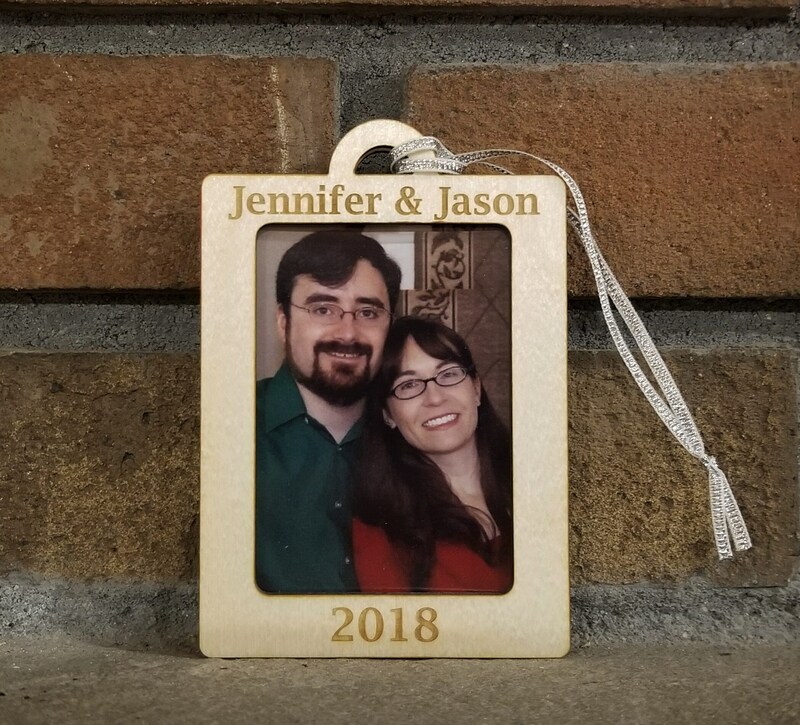 This personalized ornament will add a special touch to your Christmas tree! Your personalized text will be laser engraved onto this handmade wooden ornament. 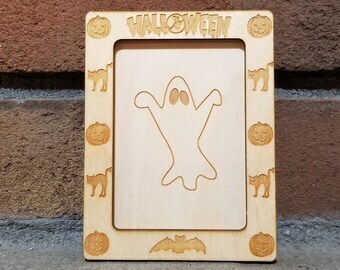 The exterior of this photo frame ornament is made of clear coated birch. The interior contains craft foam to cradle the photo. This photo frame ornament is the perfect size for displaying a wallet sized photo (2.5 in. x 3.5 in)! Shipping is by First Class USPS in the United States. Shipping for the first item is $3.50. Add $1 for each additional item.